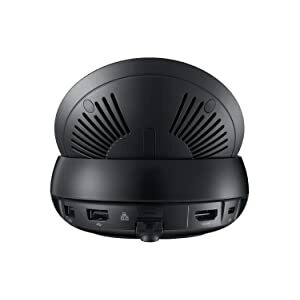 Ports: 2x USB-A 2.0, USB-C Charging, LAN Ethernet, HDMI Output; Connect a mouse, keyboard, and Ethernet cable for added productivity. 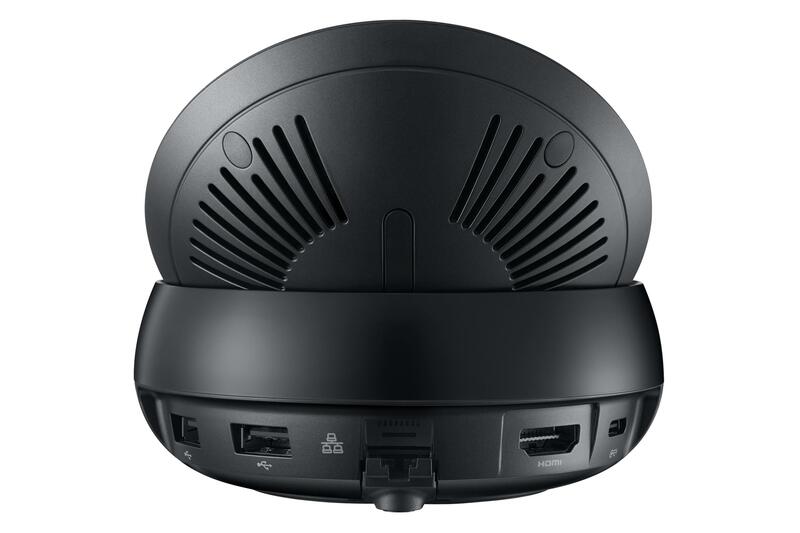 The Samsung DeX Station enables you to turn your Samsung Galaxy Note8 and Galaxy S8 / S8 into a true desktop PC experience. 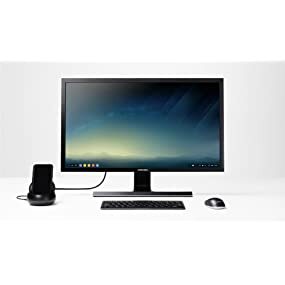 By docking the phone into the DeX Station, your phone will launch a special DeX mode on the connected external monitor and applications can be opened in multiple separate windows. 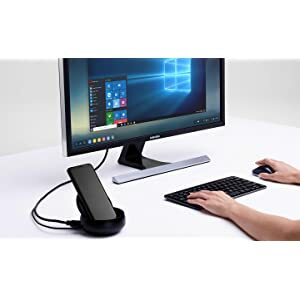 Connect a mouse, keyboard, and Ethernet cable for added productivity. 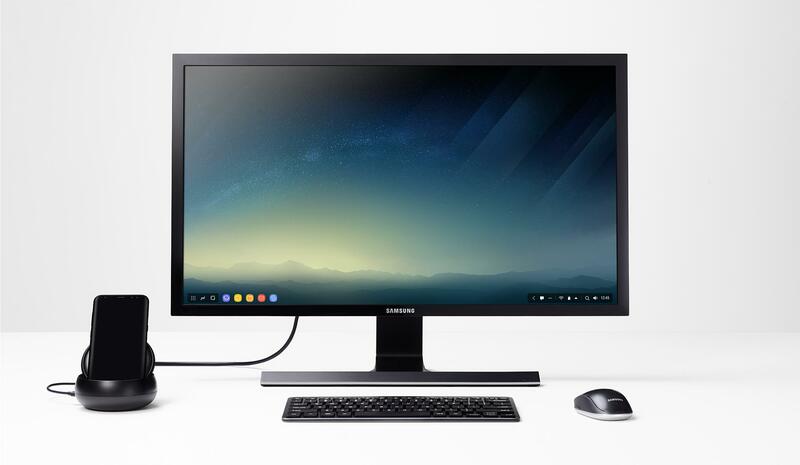 When there is heavy duty work, you can always launch a virtual desktop application to mirror and control your desktop computer on your Samsung Galaxy Note8, Galaxy S8/Galaxy S8 . 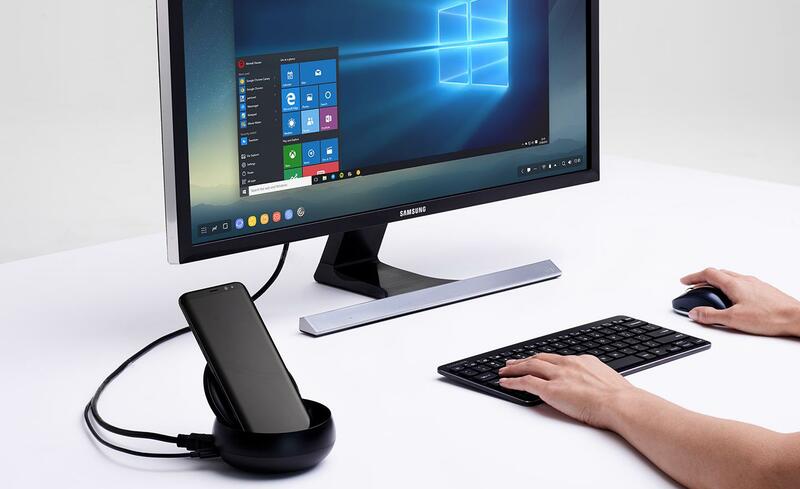 When docked in DeX Station, your Samsung Galaxy Note8, Galaxy S8/Galaxy S8 will charge via USB-C and stay cool with a built-in fan, all while powering your desktop experience. Dimensions: 11.37" x 8.04" x 0.70"
Dimensions: 11.32" x 7.81" x 0.82"